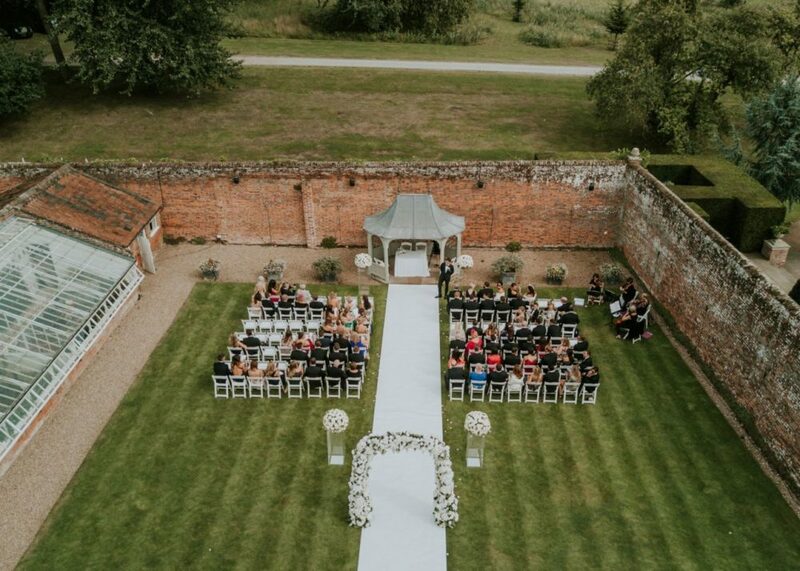 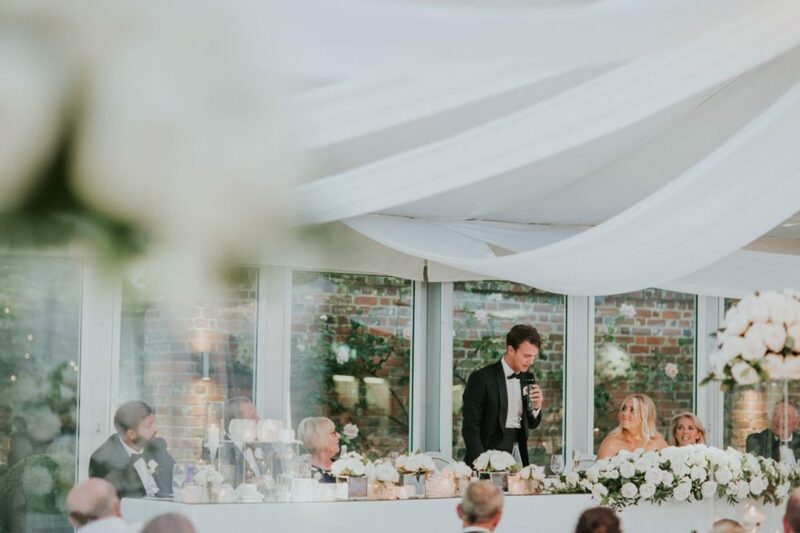 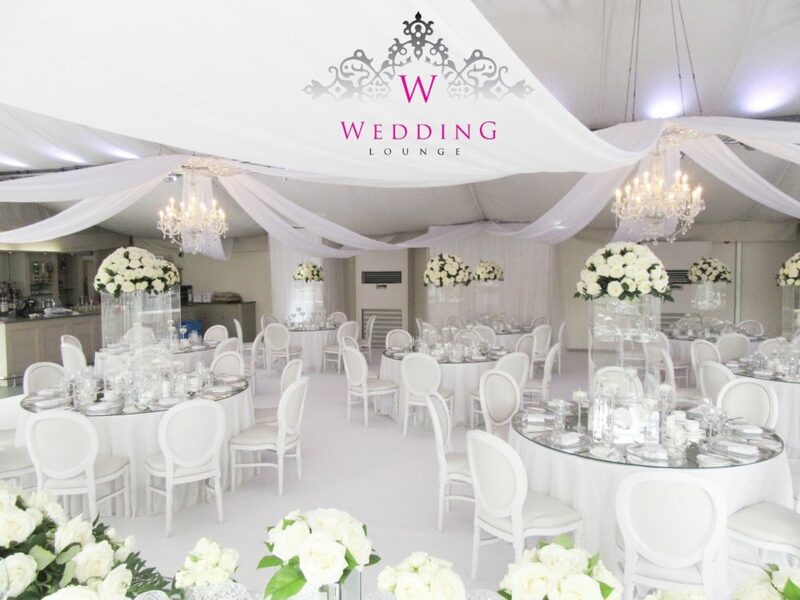 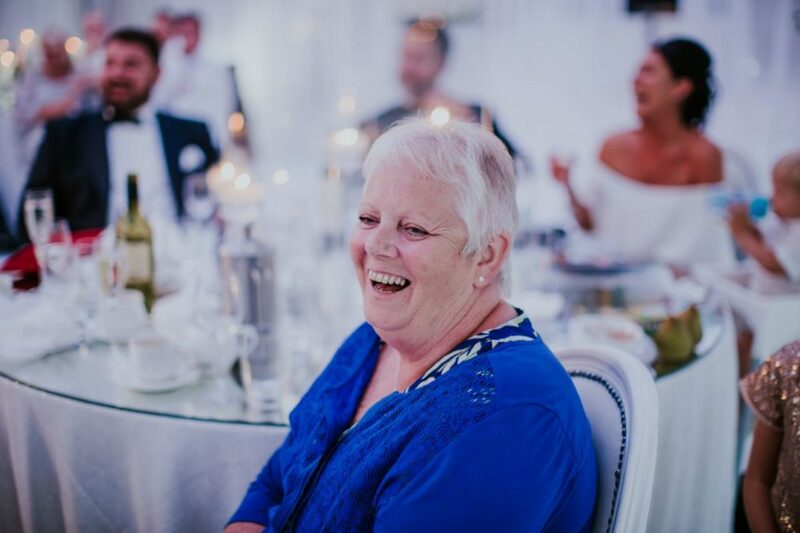 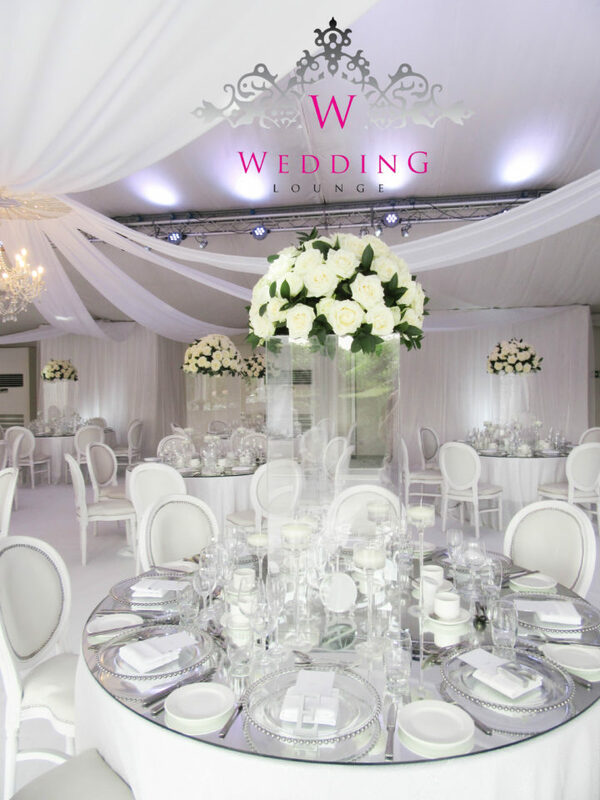 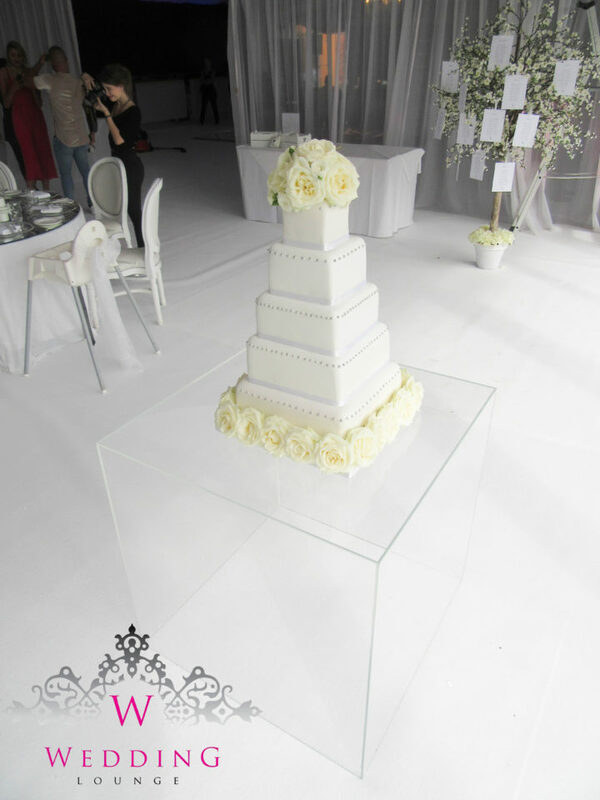 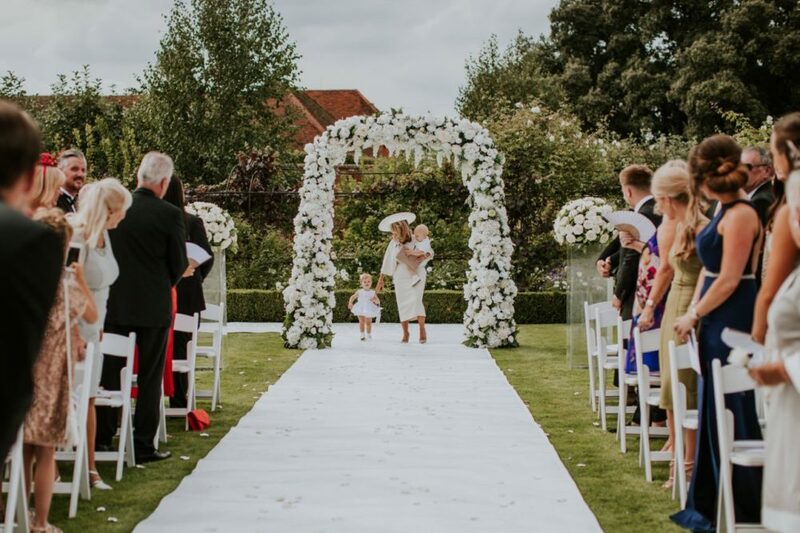 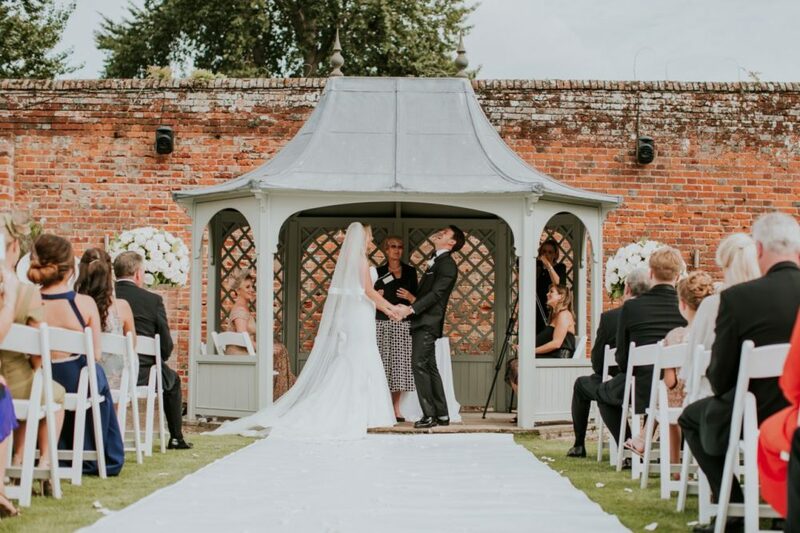 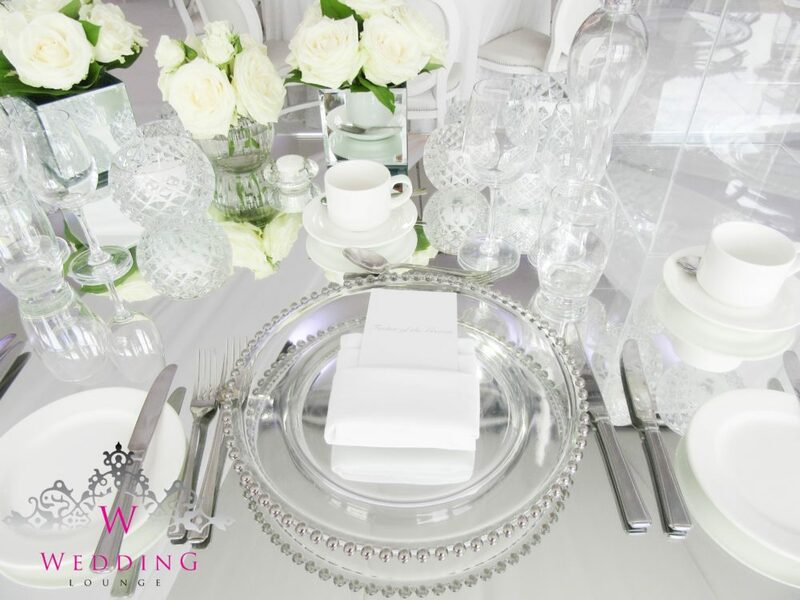 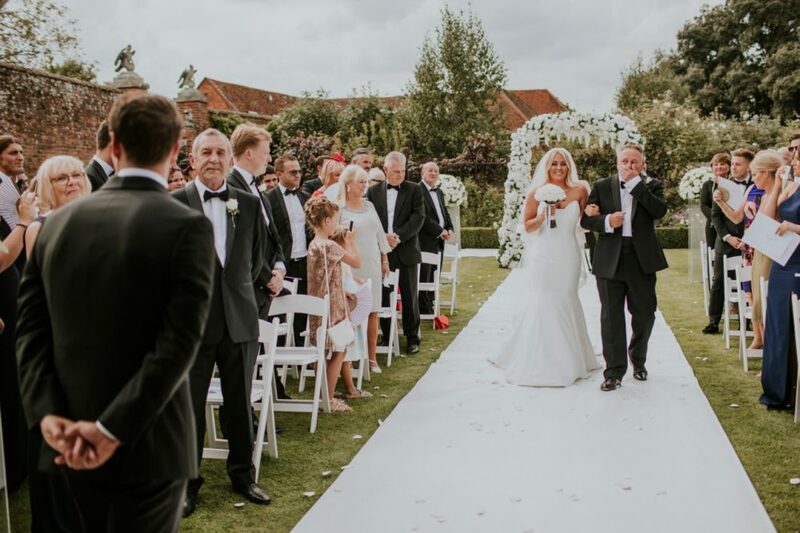 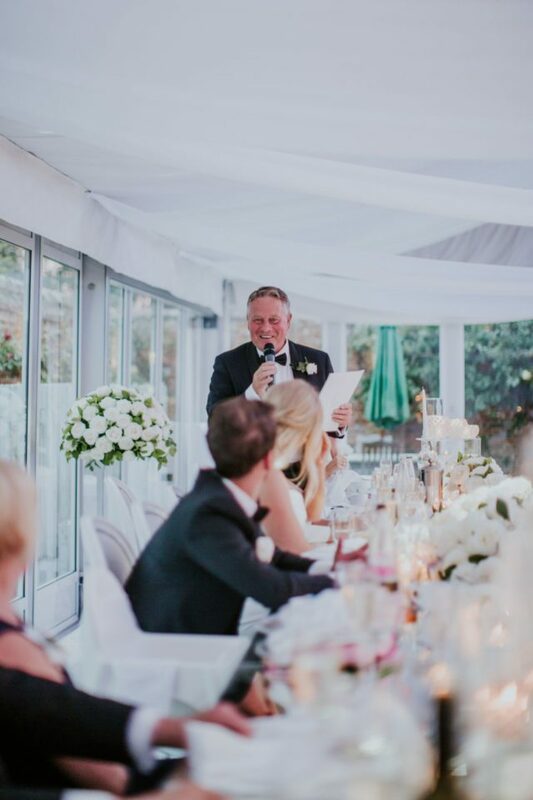 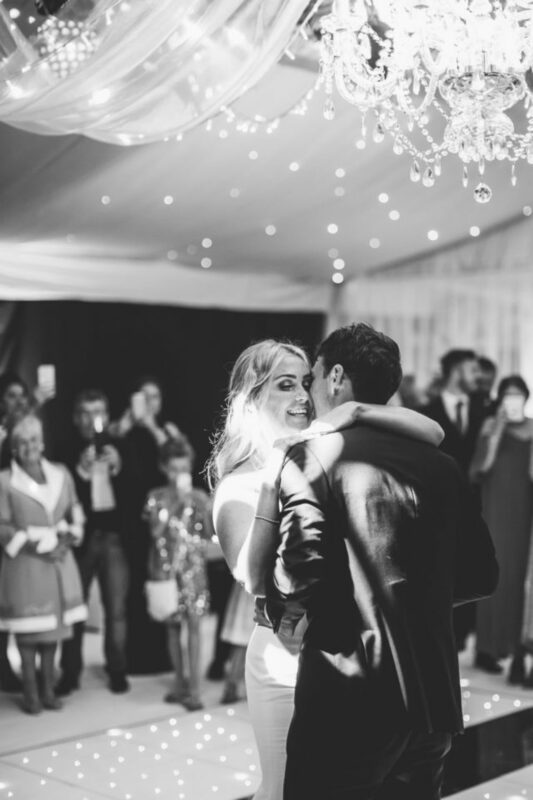 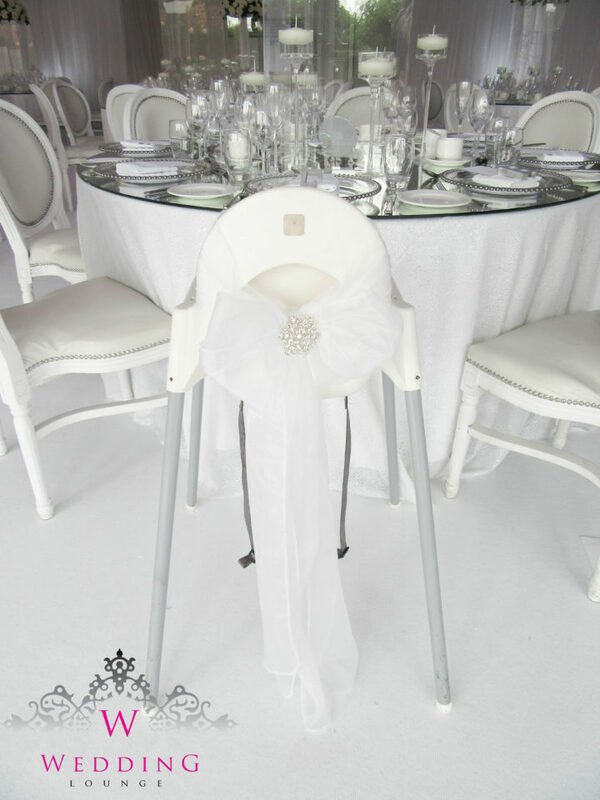 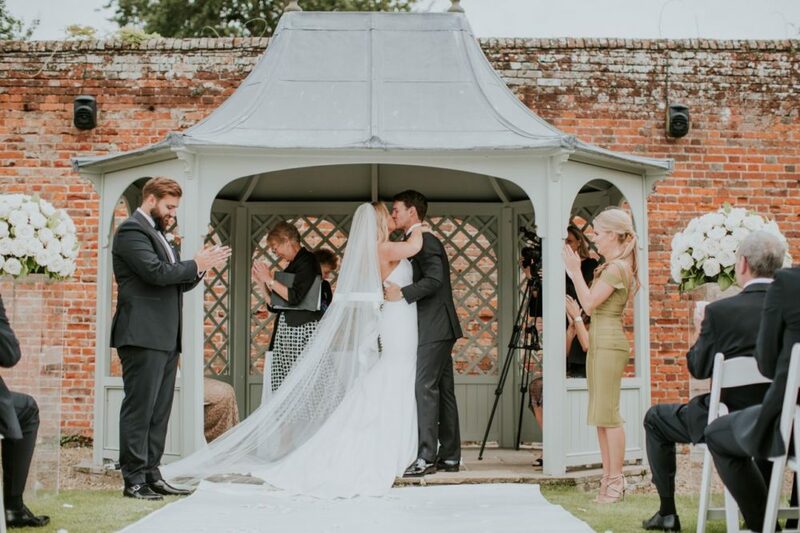 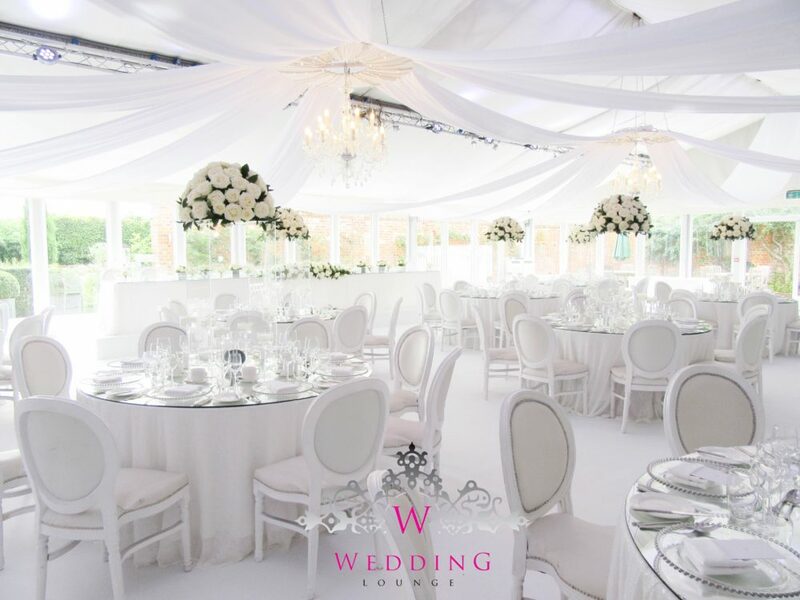 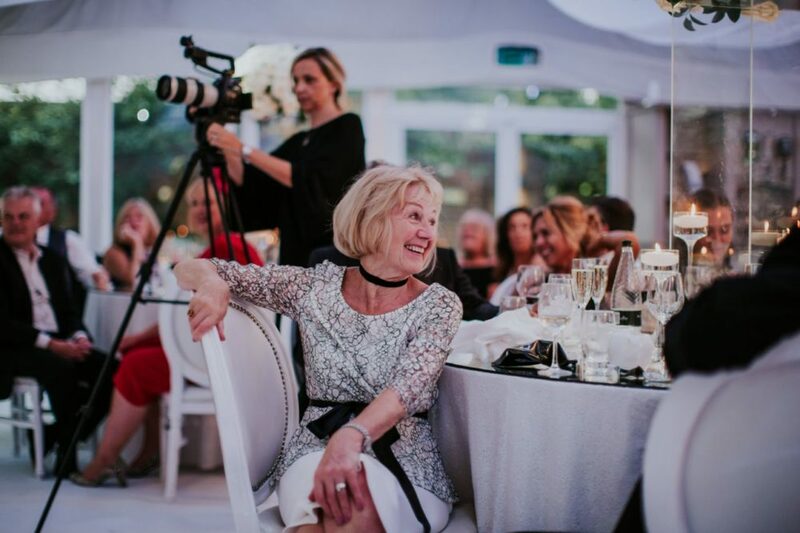 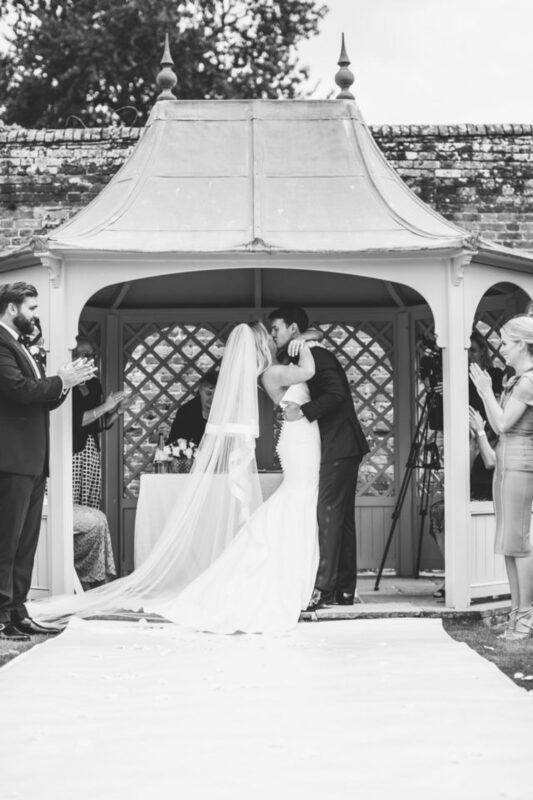 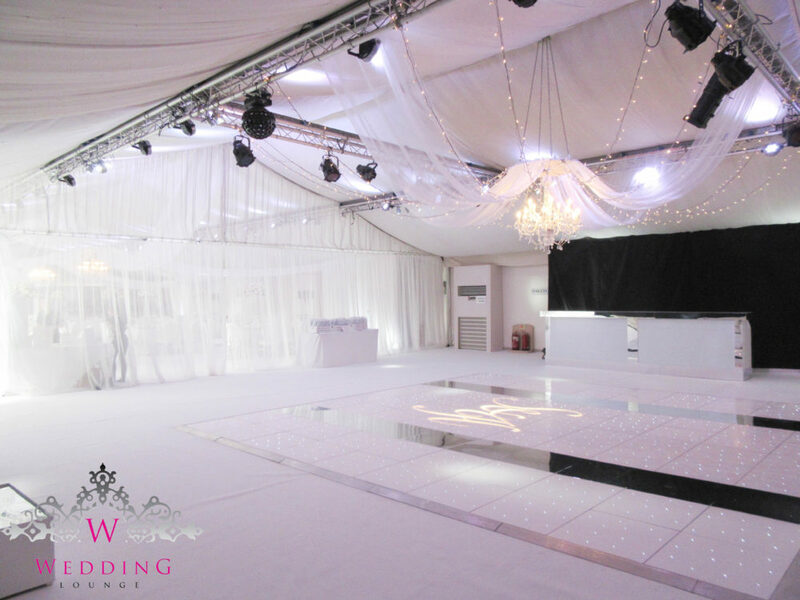 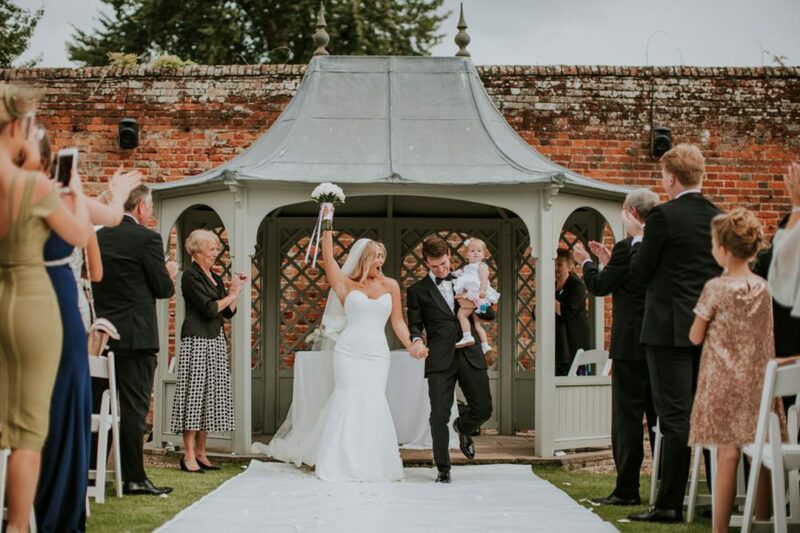 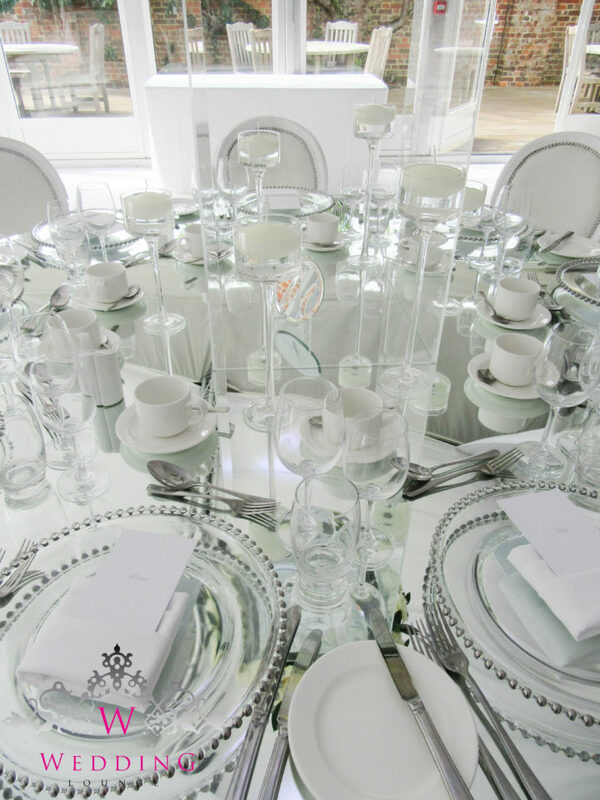 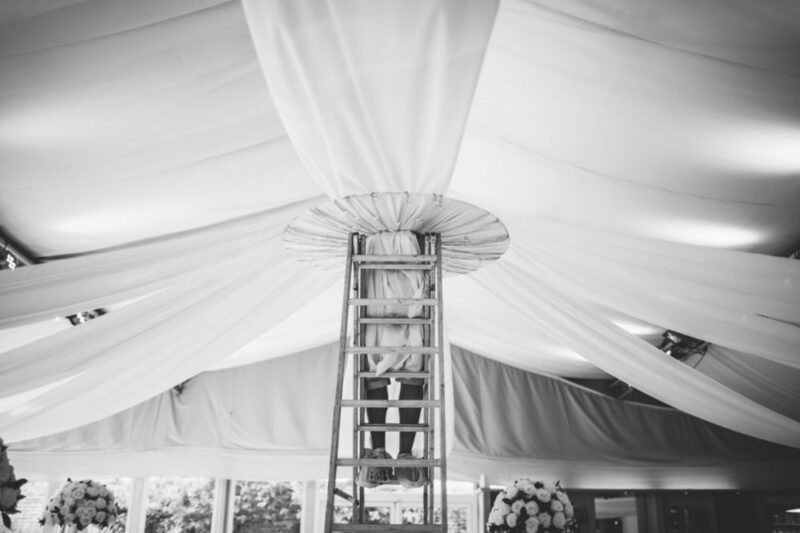 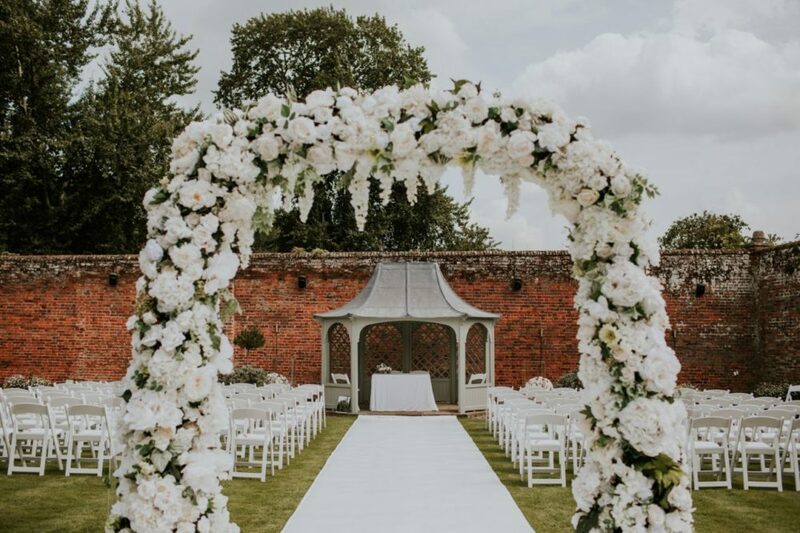 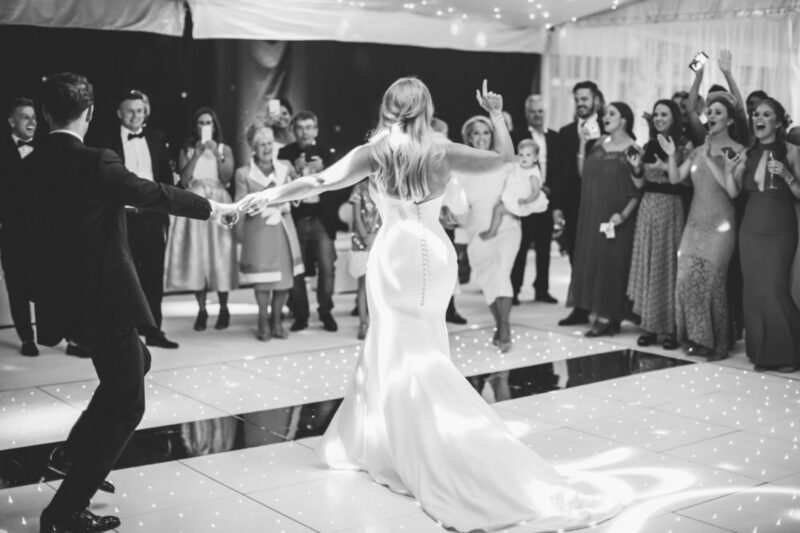 To transform the pavilion for Holly and Stephen we carpeted the floor in white carpet, softened the partitions white white draping and draped the ceilings with white ceiling canopies with clear crystal chandeliers, all tied together white white uplighting. 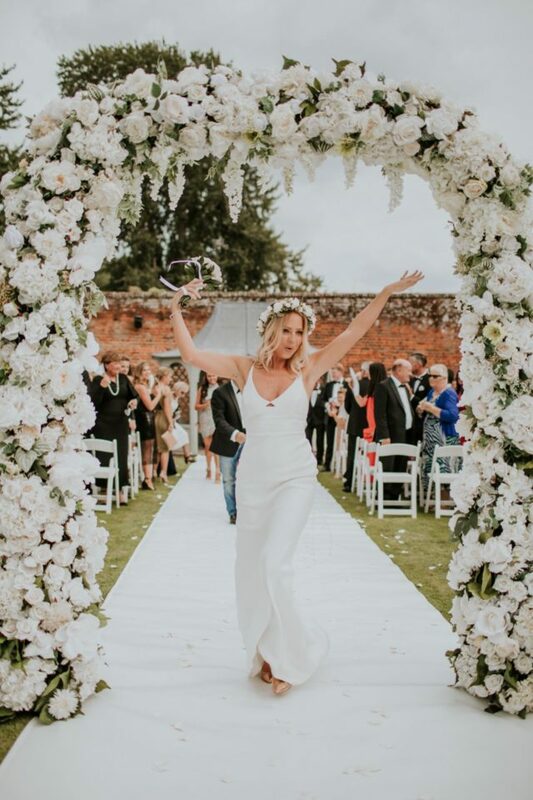 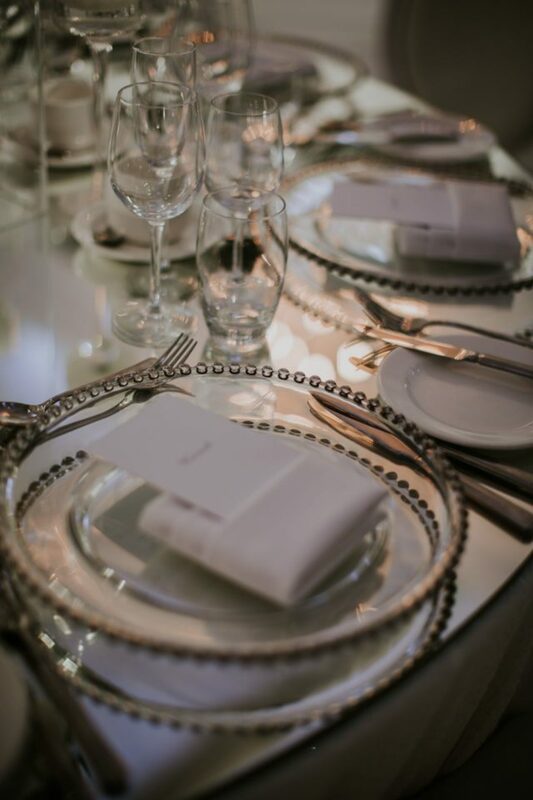 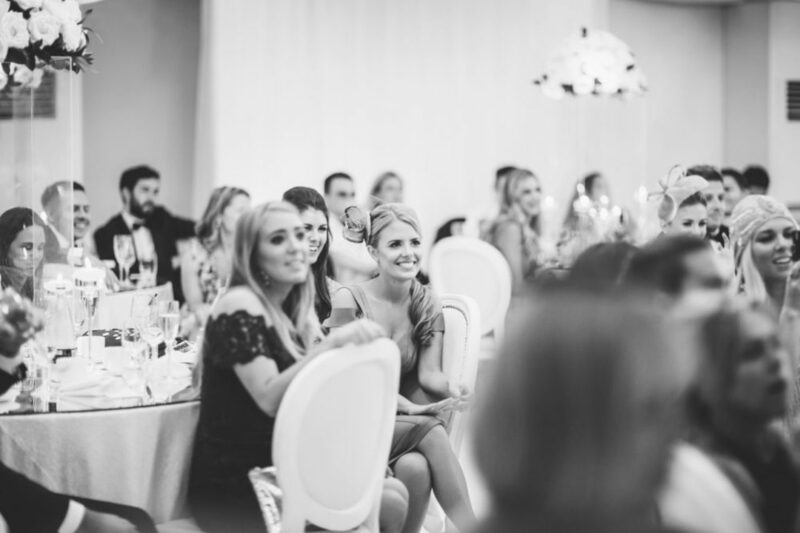 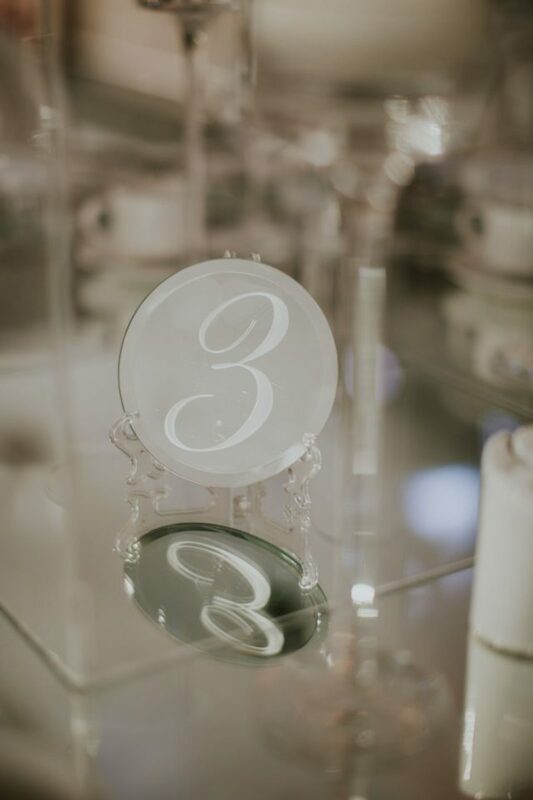 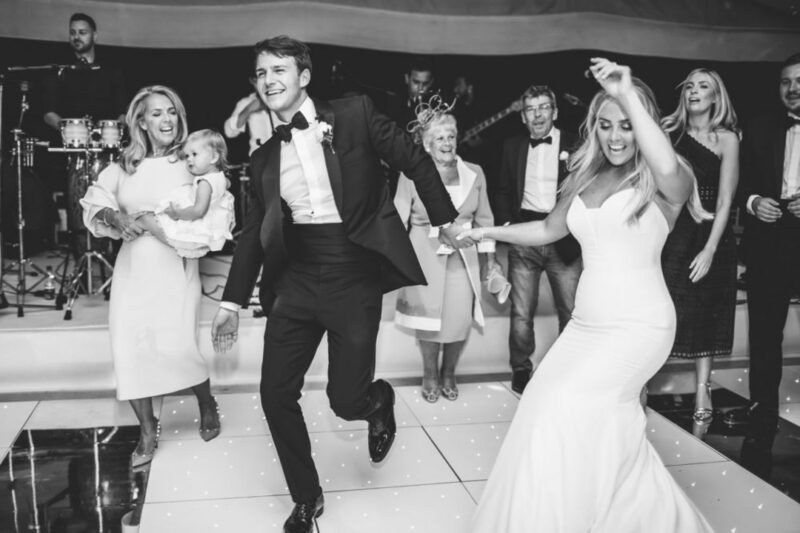 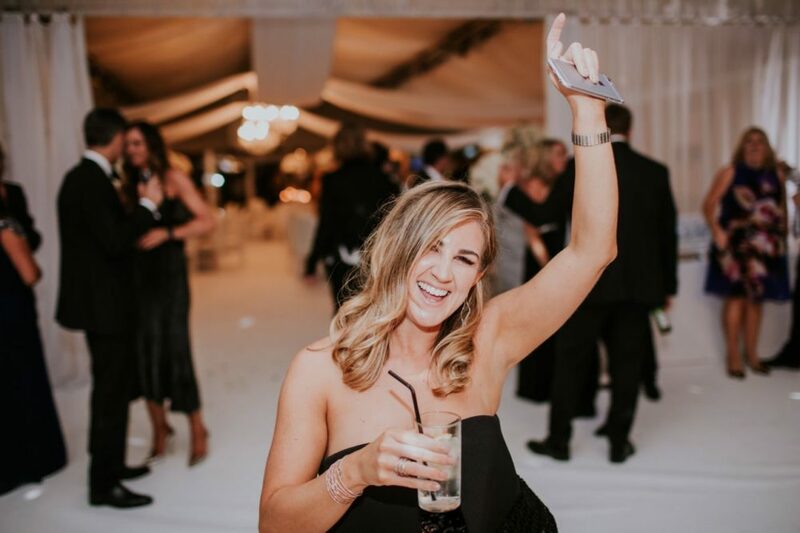 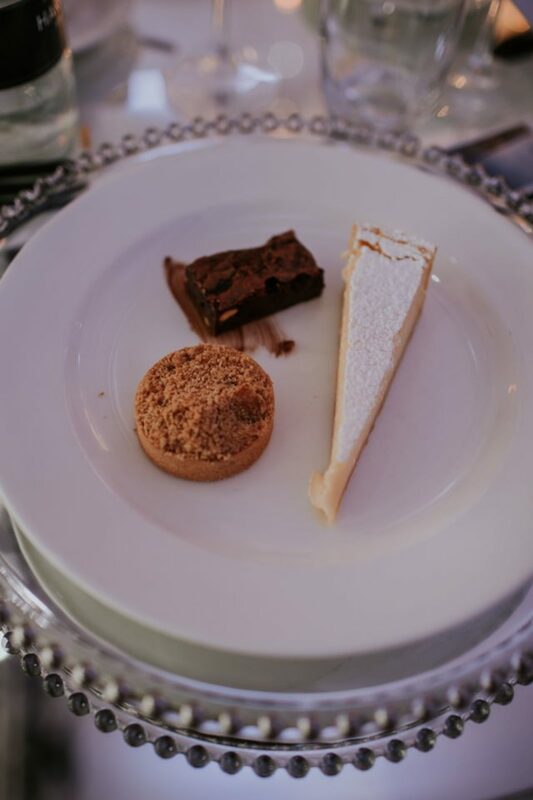 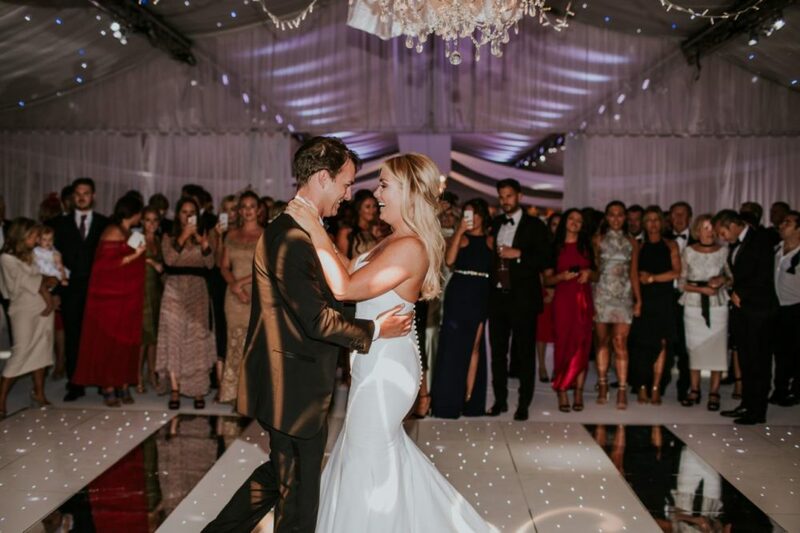 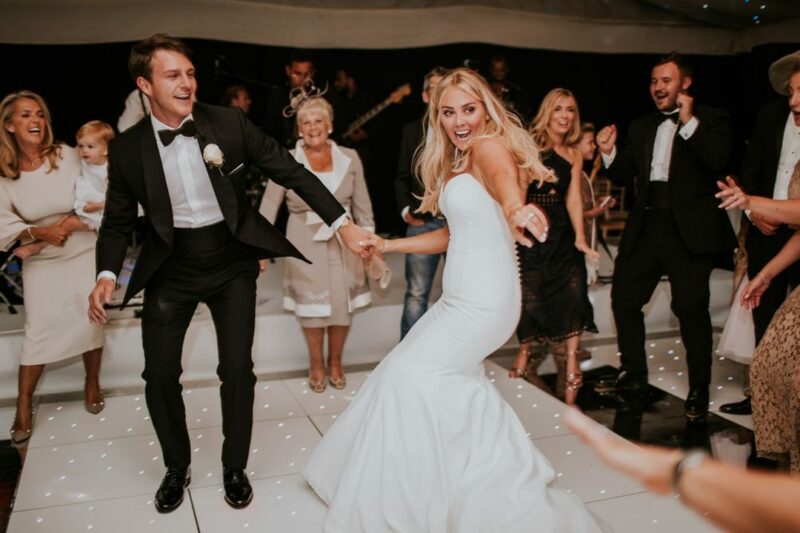 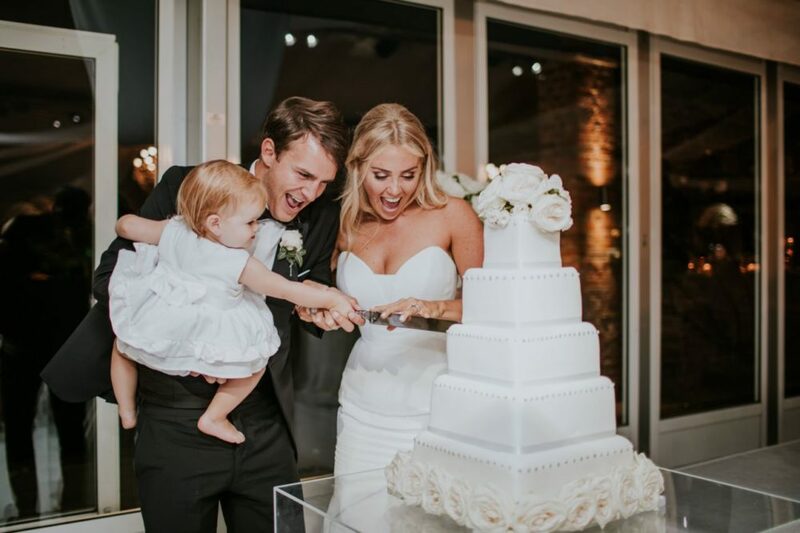 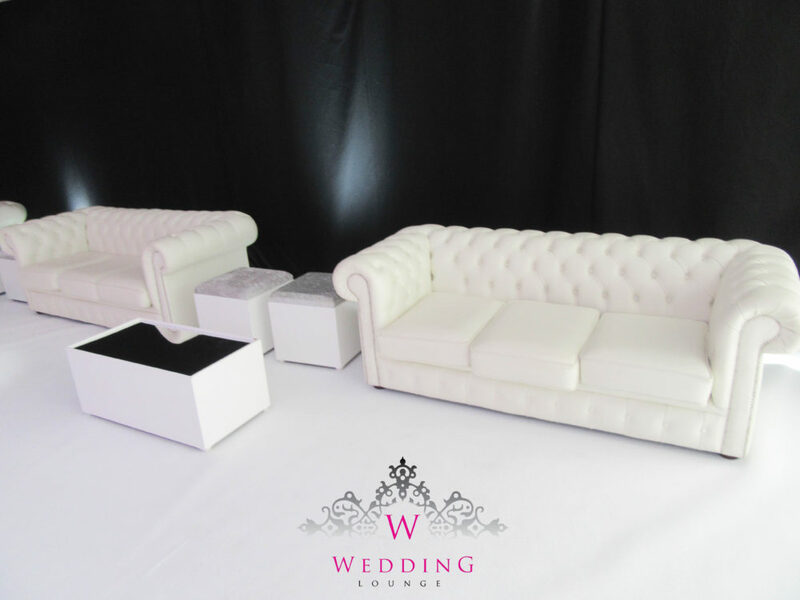 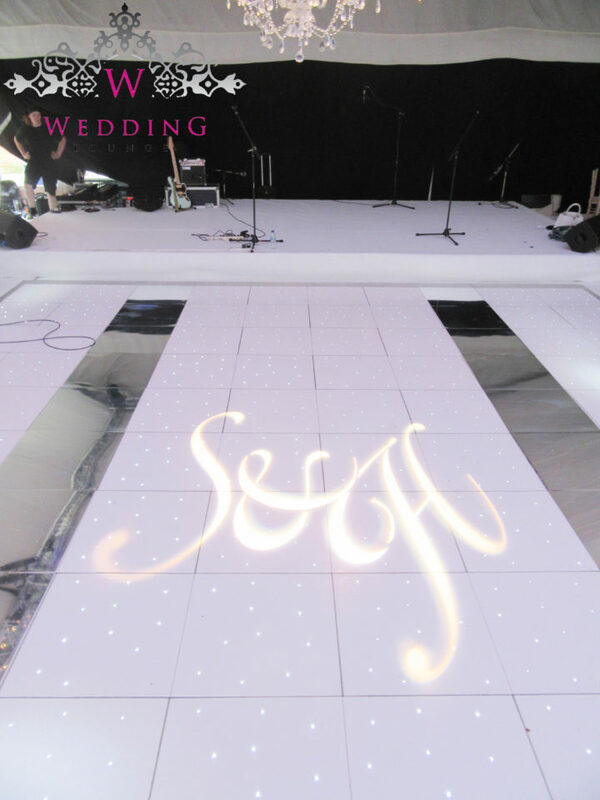 For a sleek and glamorous evening party we dressed the dancefloor area to continue Holly’s fresh white and dreamy wedding vibe. 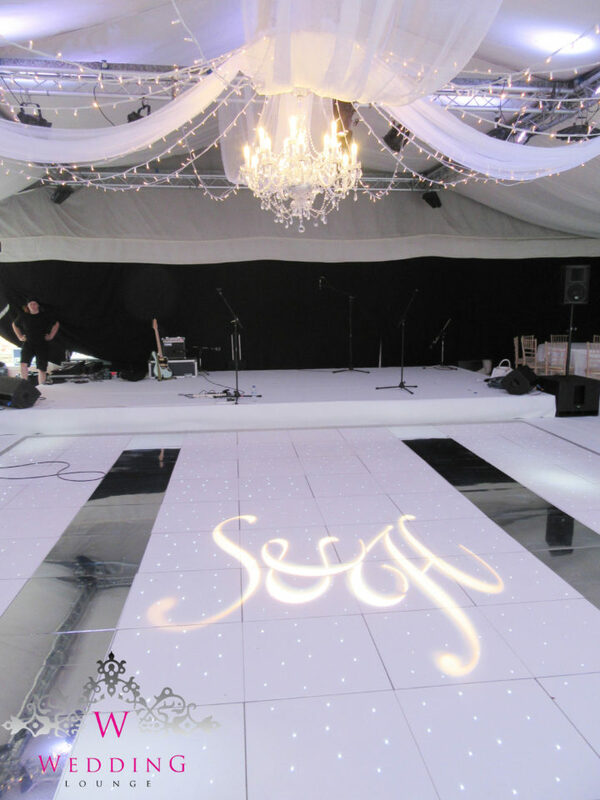 For the ceiling we added a fabric and pealight canopy with a clear crystal chandelier, the dancefloor below was our white led dancefloor with mirror panels and a projection of Stephen and Holly’s monogram. 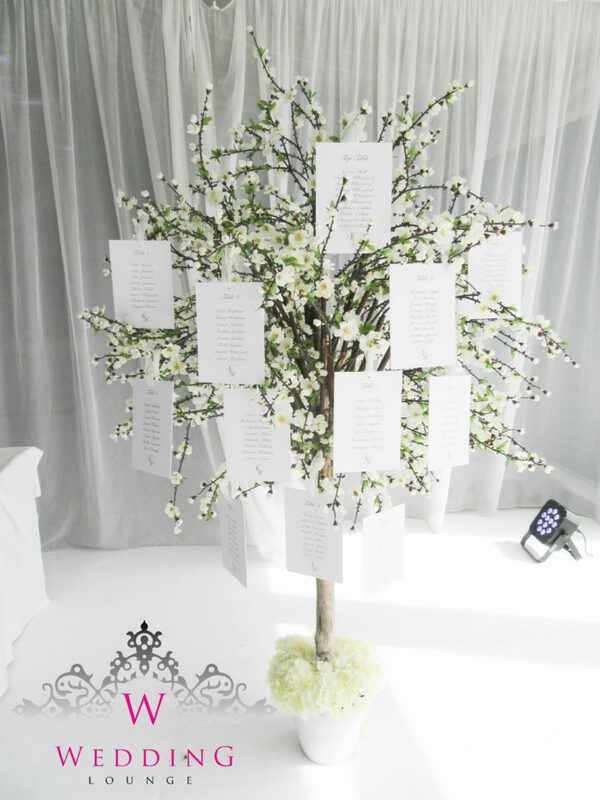 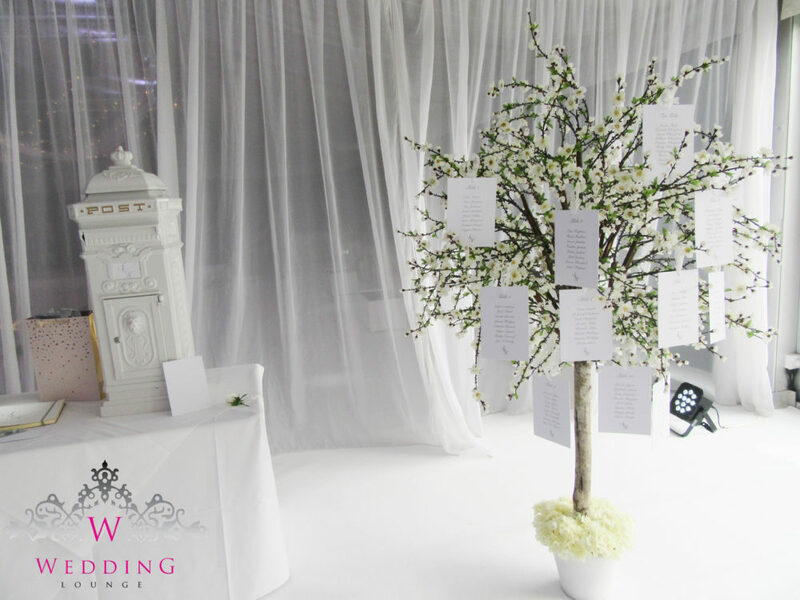 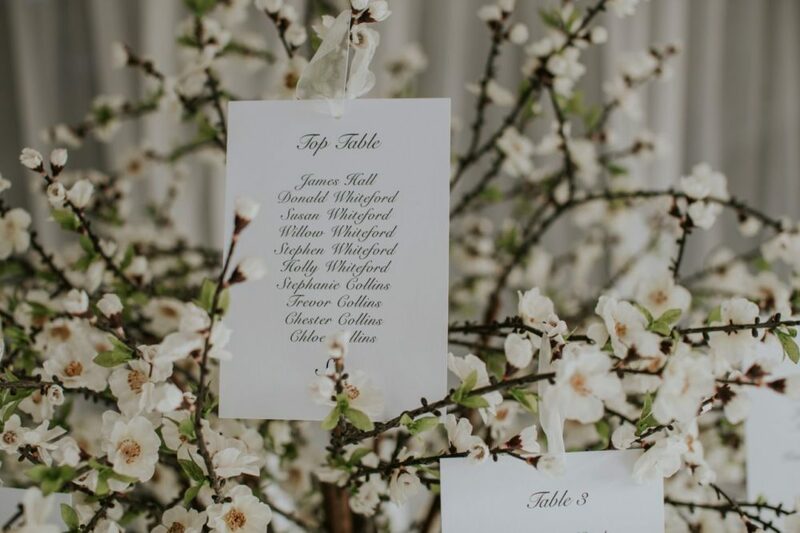 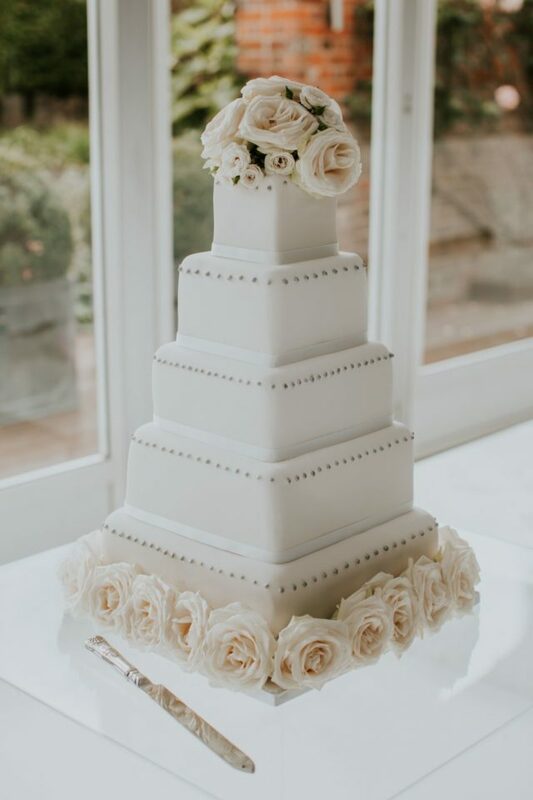 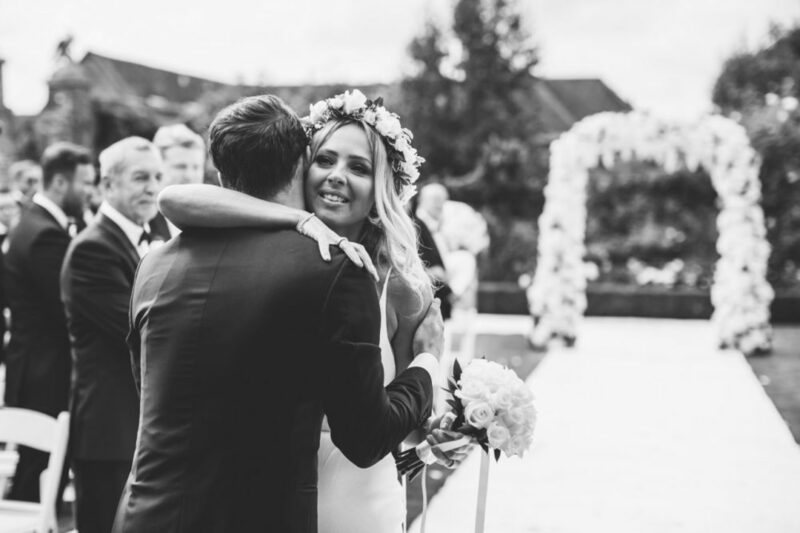 The final finishing touches came in the form of Holly and Stephen’s table plan – we provided our white blossom tree for the table plan stationary to be hung from – a modern alternative to a mirror table plan. 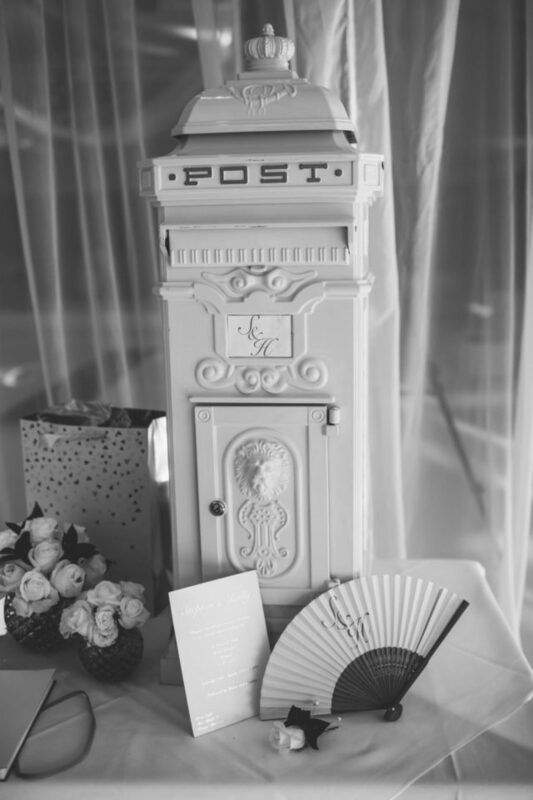 Our Victorian post box for the wedding cards and last but not least our ghost cake table cube for their wedding cake.